Josh Gauthier is a Maine-based writer and playwright focusing primarily on speculative fiction. He earned an MFA from the University of Southern Maine’s Stonecoast Creative Writing Program where he concentrated on popular fiction. 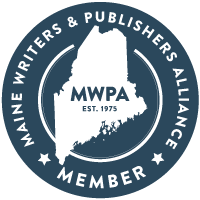 He is involved with the Maine Writers & Publishers Alliance and the local theater community. At present, his focus is on a collection of post-apocalyptic short stories and a fantasy novel. During the day, Josh also works as a librarian and teaches college-level writing. In his free time, he can be found reading, watching movies, and drinking too much coffee in order to sustain his dual caffeine-writing habit.